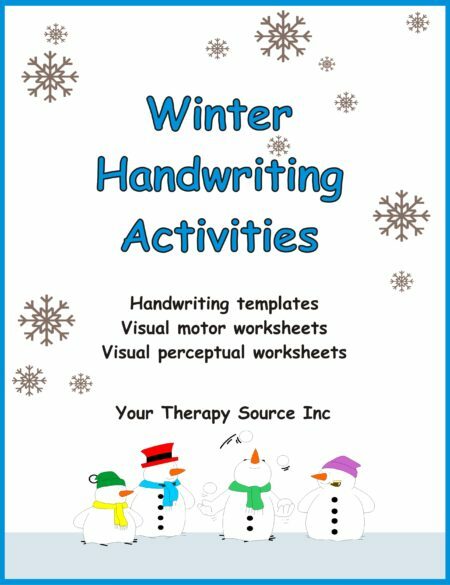 Handwriting Interventions – Occupational Therapy tool for blocked handwriting practice helps you to utilize Motor Learning stages and principles to make substantial changes in handwriting habits with students up to the 10th grade. Created by school-based Occupational Therapist, Thia Triggs, this “blocked” practice at the word level is immensely helpful as a method to bridge the gap between a student’s learning how to form letters and starting to develop new handwriting habits. Once a child has developed inefficient motor habits for writing, it can be very difficult to re-learn new patterns of movement. 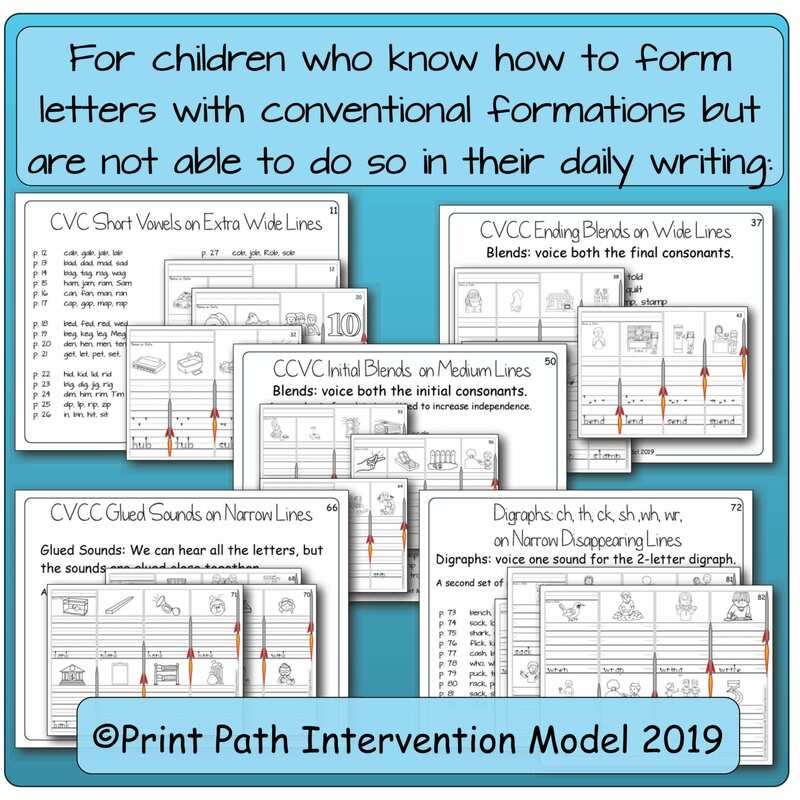 Even in occupational therapy, we can often teach a child conventional handwriting formations, but as soon as they go back to their classrooms, they use their old letters that start at the bottom, go the wrong direction, are slow to produce, and more importantly are difficult to read. We all know students who have abundant ideas to share but because of poor handwriting skills are reluctant to write. 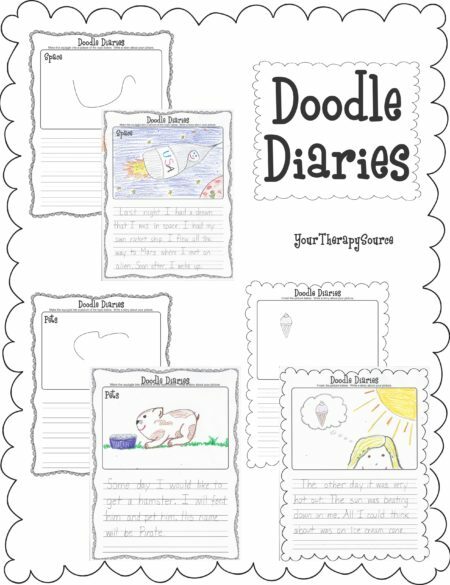 When they do write, they are not able to express their ideas or read their own handwriting. This research-based method has been pivotal for children with and without visual-motor delays, including students with dysgraphia, learning disabilities, ADHD, and autism. 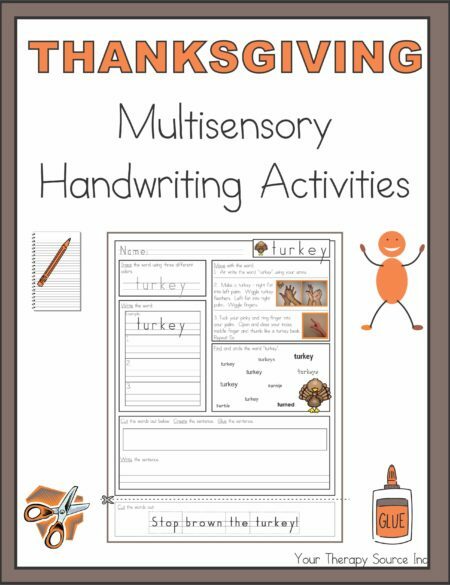 Using these SIMPLE strategies, you will be able to make a real difference in helping clients gain automaticity of handwriting. 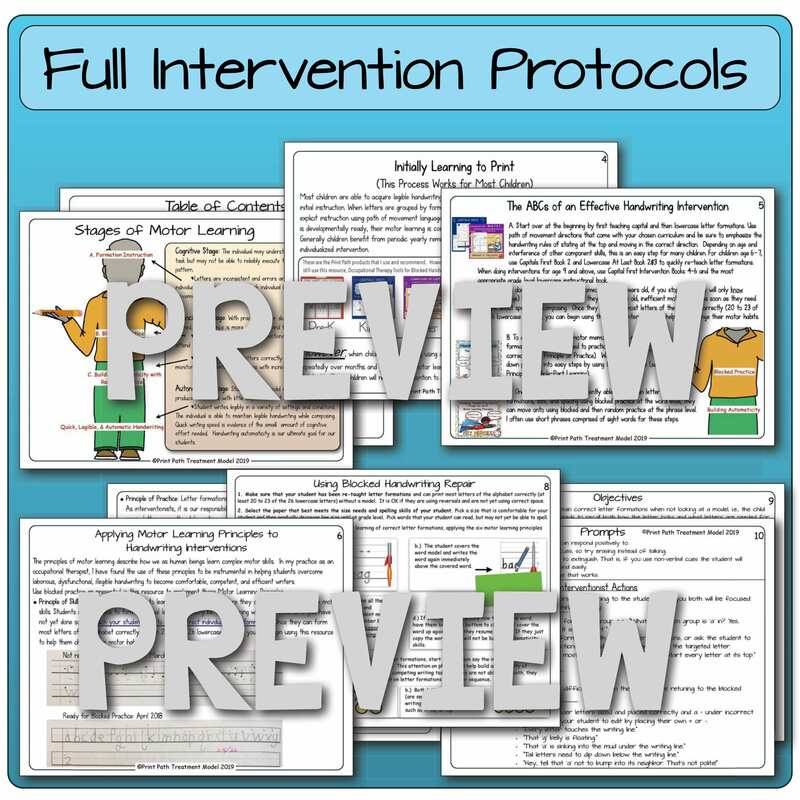 teaches you how to use motor learning principles to improve the effectiveness of your interventions. comprehensive therapeutic protocols for implementing “blocked practice” at the word level are included. you will receive paper tools for learners at a variety of ages and with varying motor control skills. both in-class inclusive intervention strategies and pull-out intervention strategies are included. to help you individualize services, 400 of the most frequently used English words are provided. 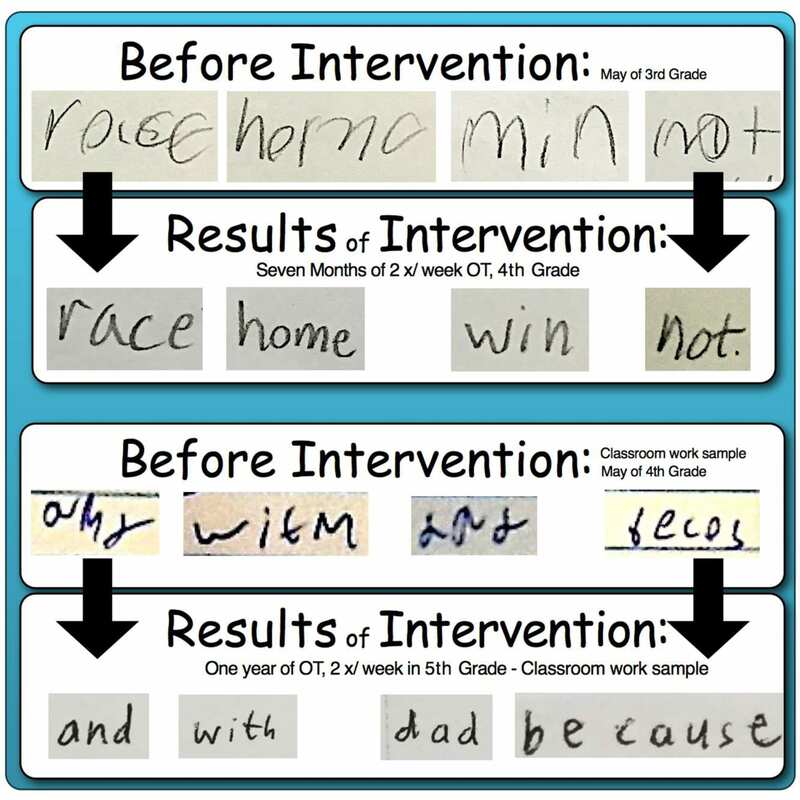 Who should use Handwriting Interventions? 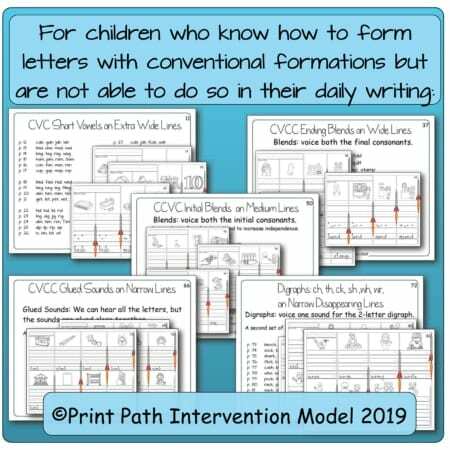 This resource is for the student who knows how to make conventional letter formations in isolation but is not able to maintain correct formations when writing words. 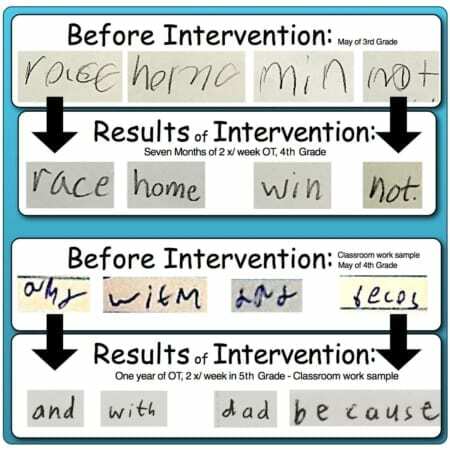 Blocked handwriting interventions do not teach letter formations. 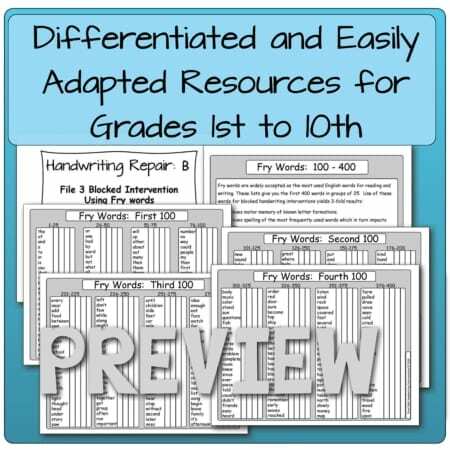 These principles, protocols, and tools can be used with your school district’s officially adopted font and curriculum, whether it be Zaner Bloser, D’Nealian, Handwriting Without Tears, or Print Path. This is not a glitzy creative product. 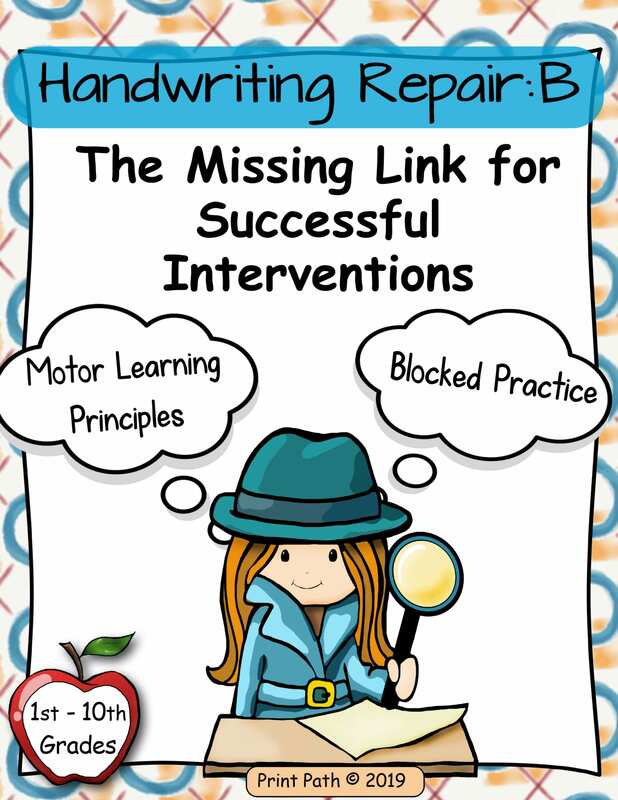 It is a practical application of research-based motor learning principles that have been found to be extremely useful for the repair of inefficient handwriting habits. Do not purchase this product unless you are interested in providing a one-to-one intervention at least 2 times per week for a minimum of 10 weeks. If you are an Occupational Therapist who is already applying blocked practice in your therapy interventions, then this will be of little value to you. 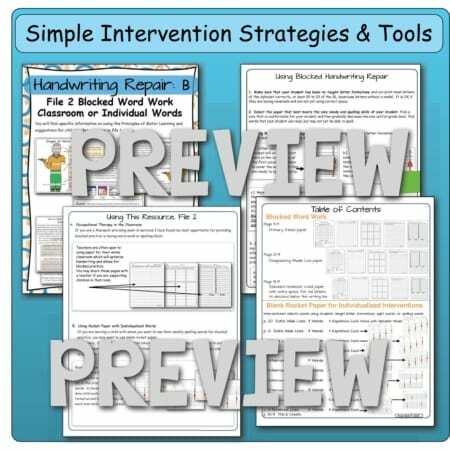 If you are looking for grade level handwriting instruction and initial practice, start with this product – Handwriting Bundle. ⁍ Excellent product! I have needed this for so long! Thanks for such fine work! We are adopting your materials in our private practice. 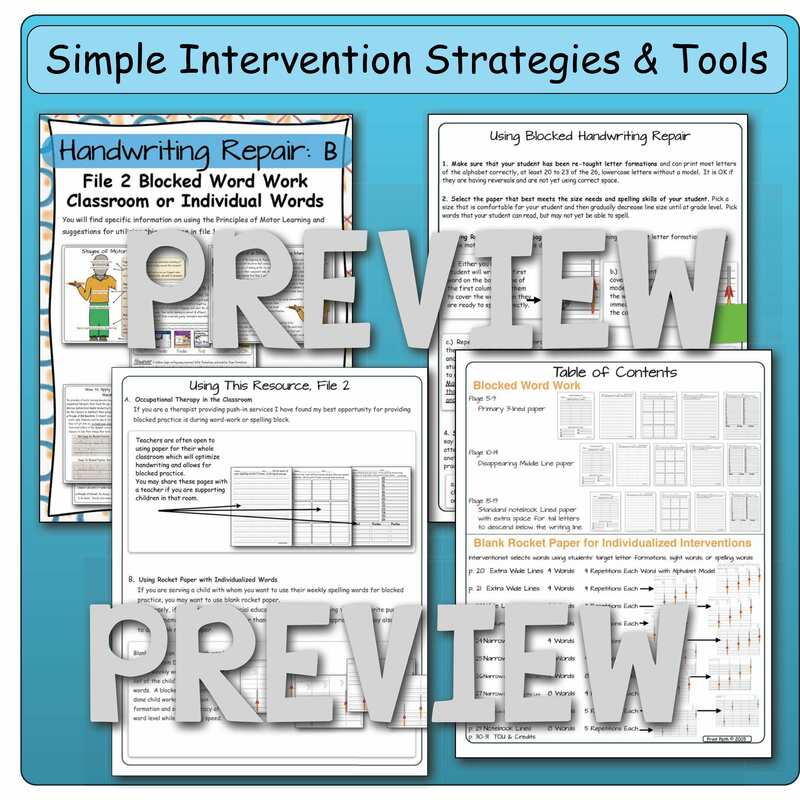 ⁍ Fantastic intervention and incredible resource! ⁍ Great resource, I wish I would have had this sooner! ⁍ Very handy. I especially like the spelling practice pages. ⁍ Good practice for my spec. ed. kids with fine motor issues. ⁍ It is wonderful to have this resource, I appreciate the uncluttered design. 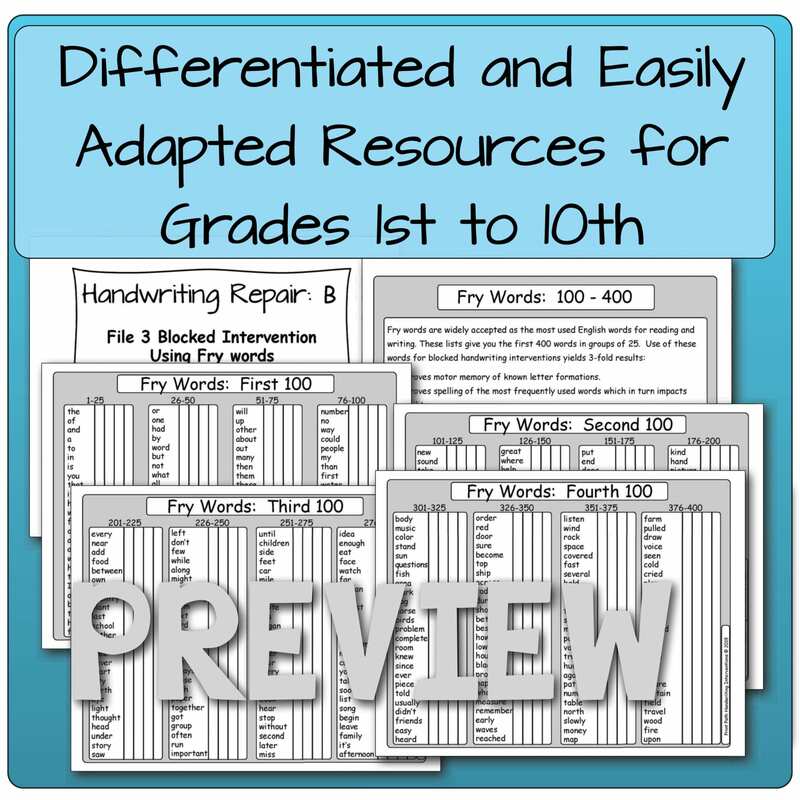 ⁍ This is my first year providing handwriting intervention to many of my special education students and this resource is AMAZING. Thank you! ⁍ A practical resource that can be instantly applied. Thank you for sharing.